For small actors, big projects are challenging. Do I/we have the capacity to do or bid for this project. Do we have any kind of back-up plans? We know what it feels like, but no need to feel down. At Trash Factory Joint Venture projects are something we are aiming to get, involvoing more than just 1 or 2 of the actors. We have a BIG project coming up in 2013, possibly two BIG ones! We try to sell projects, so that small actors do not have to spend their resources on marketing themselves, but can concentrate on doing. We have already done some pilot JV-projects this year, where we feel we managed very well. 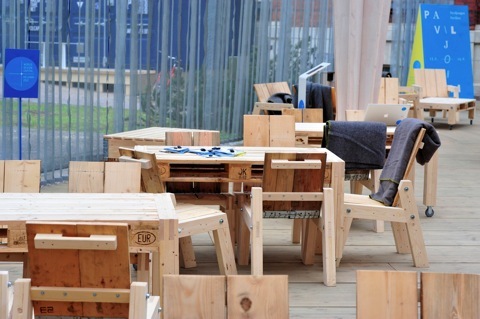 One project was related to Helsinki World Design Capital 2012 and the Furniture for the Coffee Shop at the Pavilion. Another project was the Trash stand at Habitare Furniture Fair. This year our theme was "International Trash Hotel" with participants from 6 different countries. Visit trashdesign and check the "Exhibitions" page with pictures from our stand. The entire material of the WDC Pavilion came to Haarajoki. For Habitare 2013 we asked different architects to come up with sketches of structures that could be made out of the material. We got some fantastic ideas. United Design Group out of Shanghai, China, had 3 suggestions, we realised them all. 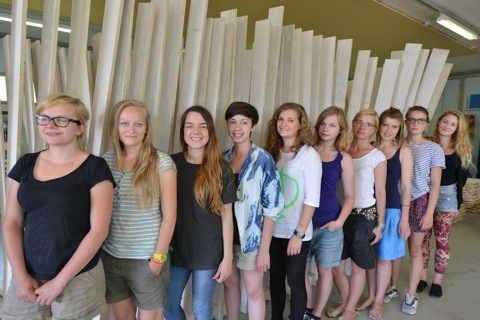 Actually a group of 10 Polish students from School of Form made them during a 3 week internship at Trash Factory. During the summer we have had 3 students practicing at Trash Factory, Niina Valkama, Vilja Jyrinki and Jaakko Mäntylä. Then Henkka Haapalainen has been with us for 6 months. One of the groups working with Habitare 2012 was Outokone (OUKO) group. For 6 months they were working at Trash Factory, thank you guys. Philipp von Haase of Norway has stored some of his "Home is where your Door is" project items at Trash Factory. In 2013 we know we will be busy. For Habitare we are planning a special event that involves physical parts of the Helsinki WDC 2012 Pavilion. But before that we will most likely be busy with some other projects, that at present are in the negotiation phase.